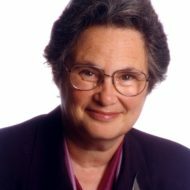 Roslyn Kunin is a public speaker, consulting economist and senior fellow of the Canada West Foundation. She can be reached at www.rkunin.com.. The future, when it arrives, isn’t always what we imagined….